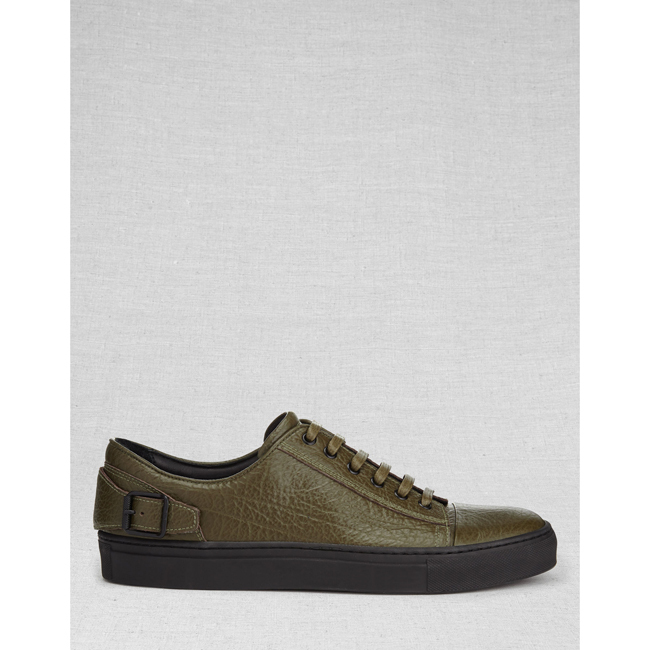 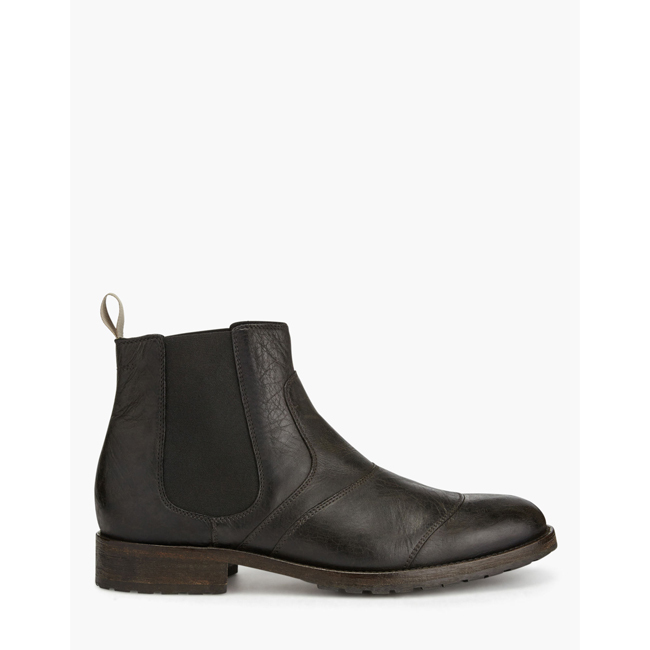 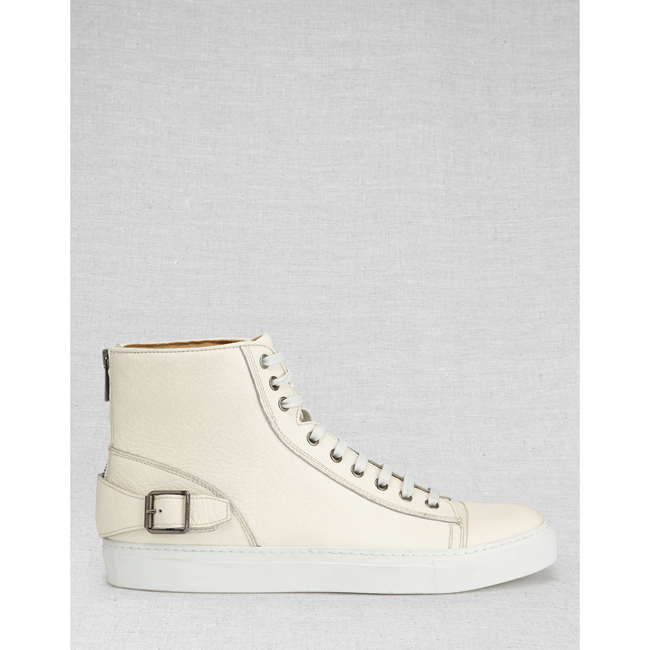 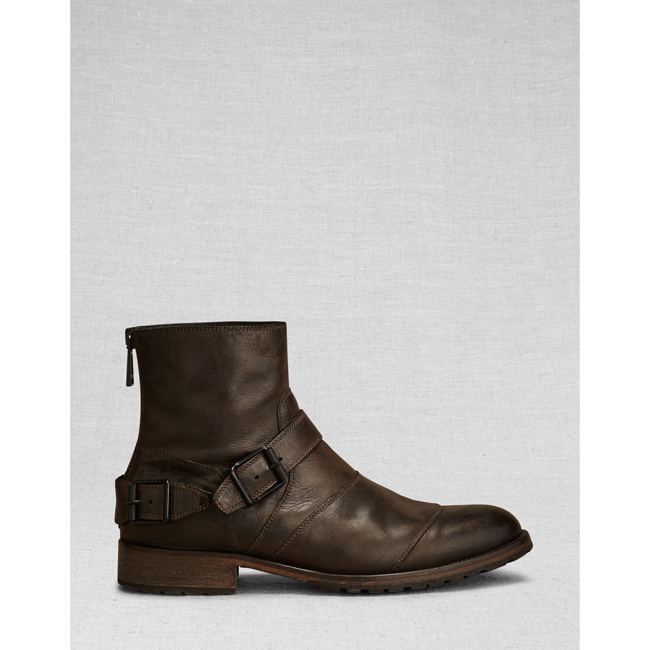 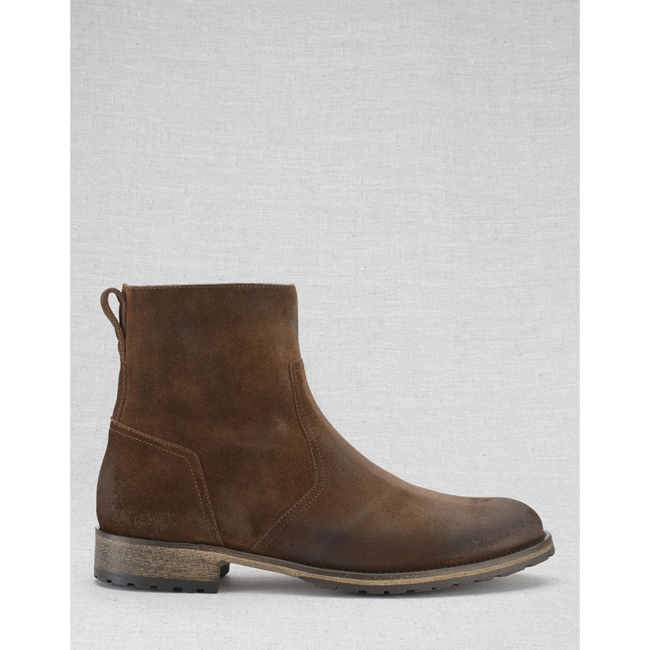 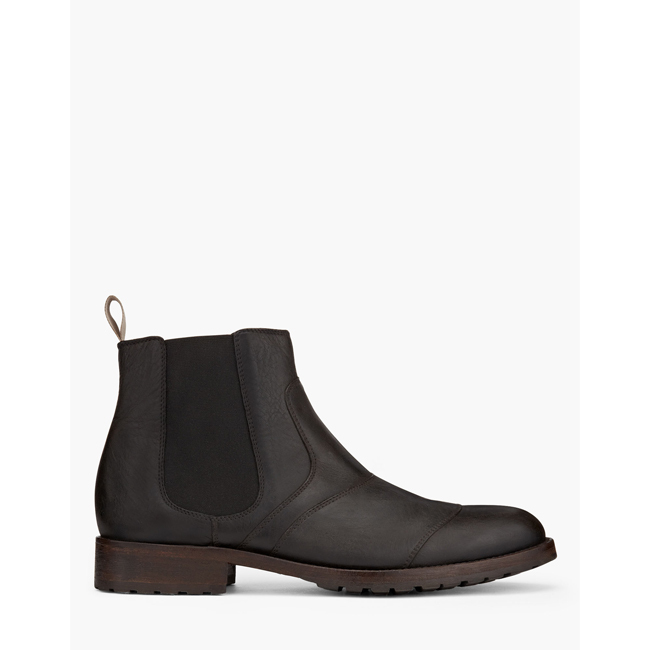 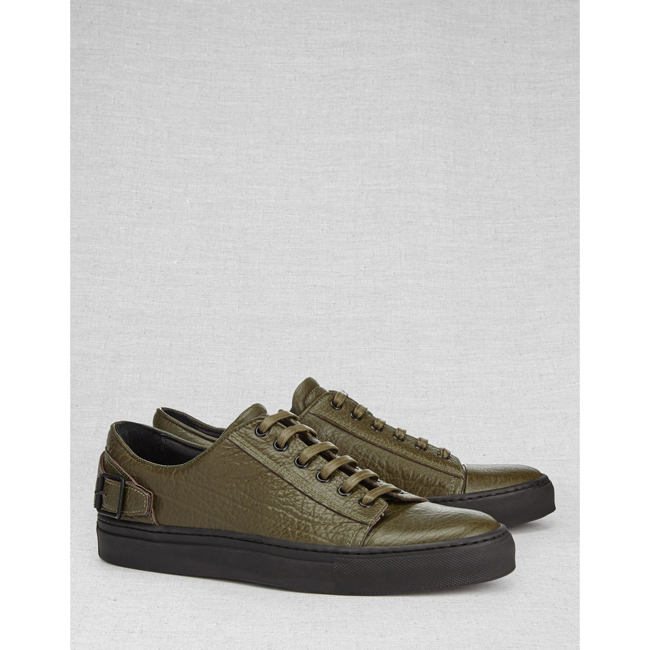 The olive leather Dagenham sneaker is crafted from pebbled leather in a low profile. 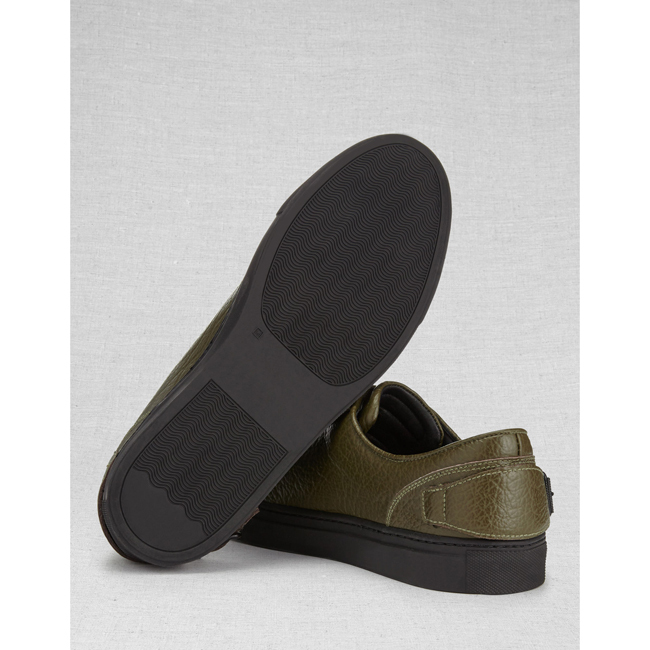 The textured upper sits on a thick rubber sole to cushion your step whether you're traversing semi-rough terrain or city streets. 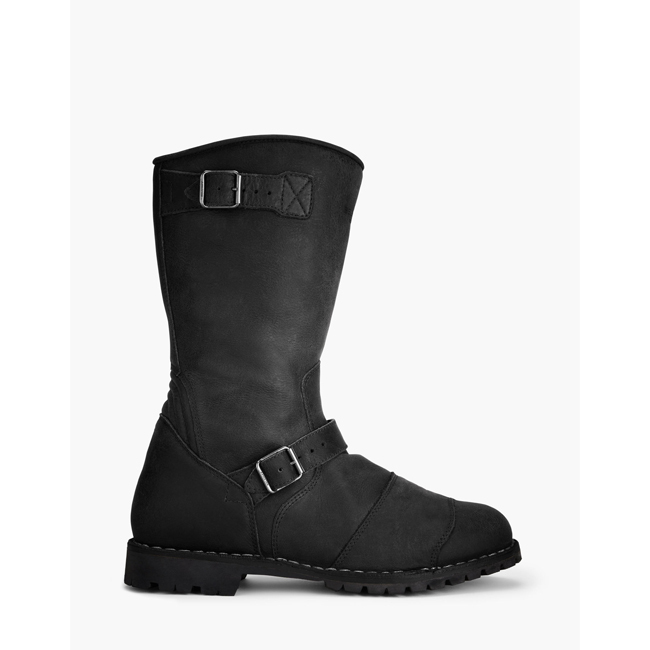 A leather strap with a buckle finished in our signature dark iron has been applied to the heel of the sneaker referencing classic biker style.